The laying the foundation stone for St. Paul’s Primary School (English Medium) was held at Kozjinjampara on Friday 21 September . 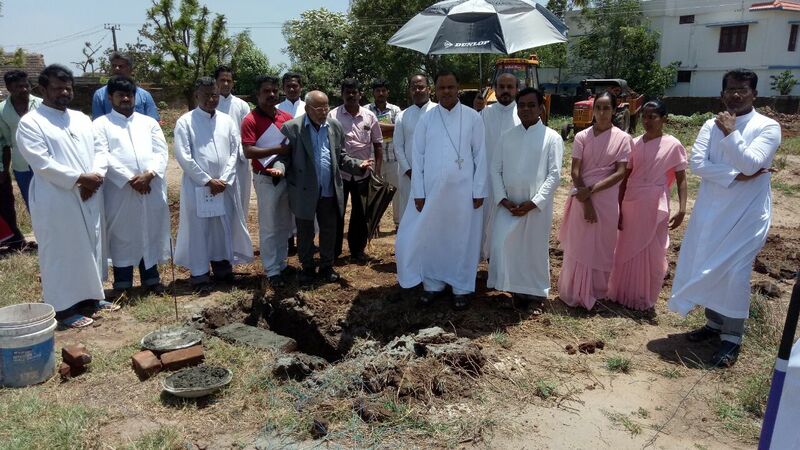 Our Bishop blessed the Foundation stone and it was laid by Rev. Fr. Antony Susai Marian (USA). Rev. Fr. Louis Maria Pappu, Manager, St. Paul’s Higher Sec. School, and many other priests participated in this function.